So, what is wrong with armed drones? The use of unmanned drones to launch so-called ‘risk free’ attacks in remote areas of the world has rocketed over the past decade. While manufacturers and operators insist that drones are precise and pinpoint accurate, researchers have documented hundreds of civilians deaths in drone strikes – and there are likely to be many more. Drones are portrayed as giving us the ability to easily and cleanly take out the bad guys without any risks. Technology, we are told, can control the chaos of war. The reality is that armed drones make it much easier for governments to opt to use lethal military force rather than engage in diplomatic or political solutions to crisis. 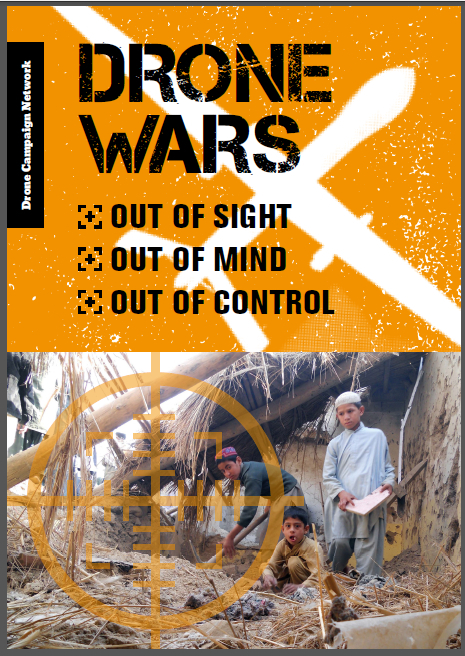 Drones, in short, are simply making war more likely. Echoing the calls of senior UN official who continue to investigate the use of armed drones, the Drone Campaign Network is calling for much greater transparency from the UK government on its use of armed drones. In particular, the details of UK drone strikes in Afghanistan and Iraq need to be released in order to assess the impact of these new weapons systems on the ground. The use of current armed drones and the development of future combat drones by the UK continues without any proper public debate or accountability. In particular, there needs to be parliamentary approval and debate for any future redeployment of armed drones by the UK. Armed drones are rapidly becoming the ‘must have’ weapon of today. There is increasing pressure from drone companies to ‘relax’ what controls there are to prevent the spread of such systems. The UK must work to ensure that proper controls are in place to prevent the proliferation of armed drones. Ultimately, the Drone Campaign Network is seeking an end to the use of armed drones. Far from increasing security, the use of armed drones is undermining long-term counter-terrorism efforts and making the world a much less safe place.